Choose > System . Select General Configuration to open the Administration page. With public signup enabled, agents can invite new customers to a service desk project, and new customers can create accounts on the customer portal and through email. Enabling public signup for your service desk project also enables a honeypot technique which helps prevent spambots from creating accounts through the customer portal. Choose > Applications. 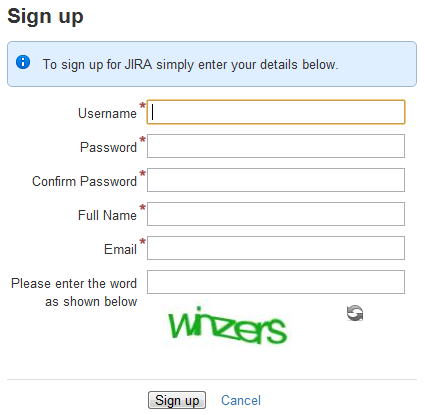 Scroll down to the JIRA Service Desk section and choose Configuration.